As the dusty winds of the Lost Desert swirled and swept over the ground several feet below her, the young pink Ixi lay hidden in the roof of a scroll stand. The heavy colored canvas billowed in the breeze, effectively disguising the fact that a small neopet was concealed between layers of fabric. A customer come to purchase some reading material on King Coltzan looked up and briefly wondered why the roof was sagging, but decided that it would be rude to inquire and brushed away the thought. After all, what if secondhand cloth was all that the shopkeeper could afford? It was not in his place to query such a thing. He, for one, would never commit such a social faux pas! The Ixi smiled. Ten minutes later, standing on top of one of Sakhmet’s towers of packed, sun-dried earth, the young Ixi surveyed the scene below. Everyone seemed to have their full attention on the bustling business in the marketplace. Everyone... or so it would seem. There was one figure who the Ixi failed to note. And his sight was trained on her, and only her. Crouching in a shadowy, deserted alley, a certain small red Lupe was on alert. He had spotted the lone form outlined against the Desert’s blood red setting sun just minutes ago. Good. He had a mission, and he was determined to do it. He would not fall short... The Lupe winced, remembering last time he got an assignment... Well, that was last time! It would not happen again, he promised himself. It would not happen again. The red Lupe kept his golden gaze firmly fixed on the now pacing shape, the image of a blazing scarab burned into his mind. About half a mile into the city, a clearly audible commotion was taking place next to a souvenir stall. A wagon piled high with Tchea fruits and Ummagines had flipped over onto its side, blocking the entrance to the stall. The cart driver, an intimidating yellow Grarrl, was staging a fierce argument with the souvenir vendor, an equally large desert Elephante. From her lookout position up on the tower, the Ixi could see it all. A perfect opportunity, she thought, and grinned broadly. Fury lit up the dusk as the still-arguing Grarrl and Elephante radiated intense heat. It looked as though the steam would start pouring out of their pores any minute now. Tension was mounting; you could cut it with a knife. Out of the few initial furtive glances, a small crowd had now gathered. A minuscule portion commenced to chant, in an ever so annoying fashion, “Fight! Fight! Fight!” but no one paid them any heed or notice, except for the few that gave them withering glares. Twilight had settled over the Lost Desert by the time the pink Ixi reached the site of disagreement. The two huge creatures were bellowing insults back and forth: The sparks were really flying now; angry words torrid, alight. Surreptitiously, the Ixi drew closer to the crowd. Almost there, almost there! was racing through her head. If one wants to survive in Sakhmet, or anywhere else for that matter, it is not necessary to be any Princess Amira, looked on as a strong leader but by the street rats as pampered, used to the royal treatment and with a castle in tow – but eating is still an essential. Or one starves. Simple as that. And Sakhmet is a prime target for thieves – so many things just waiting to be stolen, so many welcoming – well, if you filch the items in secret – thief-happy places to rob! The Ixi decided to take a chance. She’d most certainly taken risks before. After all, she hadn’t eaten all day. The familiar ache of emptiness sitting and clawing at her stomach hurt, even though she had gotten quite used to the feeling, and sometimes that of a slight faintness as well, by now. Who knew that tracking could be so hard? The red Lupe gritted his teeth to prevent himself from grinding them together in abject frustration, or in case he let out an involuntary cry of utter discouragement. Through clenched teeth, a whimpering whine escaped him nonetheless, and the Lupe was unpleasantly surprised and reminded of how pitiful he sounded. He smacked himself very violently on the arm bearing his tattoo, giving himself an interesting-colored bruise. The red Lupe refused to allow the hot, burning tears to squeeze their way out from under his eyelids. Nastily he told himself to keep on going and stop being such a baby over some tiny little welt; stay on the trail, determined to evade him as it may be... Deep down, though, he knew that it was more than that. It was failure that made him want to cry. Flash forward five minutes: the Lupe just lost his tracking spirit. He dropped down in the middle of a vacant street and, not really caring if anyone was watching, not even if it was someone he knew from his organization—well, maybe he did care a bit if it was a scout come to report his progress, but not enough to stop himself—absolutely bawled his heart out for several minutes nonstop. How could this be? How could he fail again? What would his comrades back at home think? Why couldn’t he find her? Would he be doomed to fail for his entire career? Destined to fall short of success his entire life, even? He could not come back with empty paws; that much was for certain. Sniffling, he wiped his tear-streaked face with a paw in the wrong direction, ruffling his crimson fur. The red Lupe took three deep breaths, squared his shoulders, and twitched his sensitive nose as he scented the trail of the pet who would not be found. Grim determination set in as the only thing left that might make the job harder than it already was happened. For the first time in two months, rain fell in Sakhmet: a relentless shower of water that drizzled mercilessly from the rolling gray clouds. But no, it was not to deter the Lupe from his quest. Silently he vowed that he would find that Ixi, no matter the cost. The people of Sakhmet did not wait long. Within several split seconds the crowd had fallen upon the now one-eighth empty cart, shouting (so much for silently) and grabbing anything in reach, including other neopets’ limbs and fur and possessions. No one knew what belonged to who anymore; it was one giant free-for-all, the sounds and smells mixing with the rain. Fortunately no real fights broke out. Meanwhile, the Grarrl and the Elephante were having a staring contest, taunting each other to try to break their rival’s concentration. A loud splintering noise greatly alarmed the yellow Grarrl. The brute looked away to see what was happening, and the desert Elephante trumpeted in triumph. Alas, he would if he could, but the Grarrl’s wagon was now in flames because one of the crowd’s discarded oil lamps tipped over. Even if the vehicle wasn’t on fire, however, it wouldn’t have been accessible: the Sakhmetians, who were now fleeing from the blaze, ever-eager for free stuff, except for a gross, snotty “gift” from Meuka or the like, completely stripped it down to the axles, and not even that. 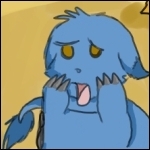 “B-b-but m-m-m-my cart!” stuttered the horrified Grarrl, his rain-streaked face glistening from the firelight. “NOW!! !” Overcome by hysteria, the Elephante lunged at the cart driver but missed, as he was seeing red, rather than yellow. The Grarrl’s cart vanished in the inferno, and it seemed to break his stammering spell. “Well, I don’t even have one rotted, burned Tchea left so I hope you’re happy!” screamed the Grarrl, his face contorted with uncontrollable emotion. Nose twitching a mile a minute, the young Lupe raced along the sun-kissed paths of dampened sand toward his goal. The rain was lightening now, such a shame for those poor farmers who needed it, had waited months for it, but for him? This assignment could make or break his future. And now—oh, yes, he was sure of it—his future would be made. He saw a flash of pink and black heading into an alleyway, maybe a quarter-mile away. The red Lupe sped up. The Ixi spread her makeshift sack out on the grimy alley floor, transforming it into a makeshift blanket. Ta-da! Sinking her teeth into a Tchea fruit, the flavor of blueberries and bananas never tasted so delicious, and she eyed her other gleanings. Ummagines; more Tchea fruits; a couple Scarabs-on-a-Stick, one burnt but not to a crisp—still edible; a Pyramibread, with a secret tower of jam inside, a revolutionary, delicious pyramid, mmmm; oh, such a wonderful, wonderful feast! A trickle of drool slipped down her pink fur to her chin; it could wait, she’d clean it up later. Oh, food, glorious food! Her stomach growled happily with the much-needed sustenance. A minute or two later the Ixi licked her chops, satiated and blissful, the spread of food almost all devoured. She noticed that she was getting rather thirsty—the Pyramibread was slightly dry. The neopet stood up to stretch. WHAM! “AAAAAAAAAAAAAAAAGH!!! !” the Ixi screamed a bloodcurdling scream as a dark shape dropped into a crouch, just missing her head. Its paw clapped roughly over her mouth, silencing her scream. The other paw found its way to her bony wrists and squeezed them together, so hard that the Ixi would have cried out in pain if she could. “Don’t move,” a voice growled, gruffly and low, yet somehow it didn’t seem real. It released her, and, while the Ixi’s instinctive reaction was to move, get far, far away from this situation, she decided it would be best to follow the advice of her attacker to avoid further problems. “Okay,” said Tomos hastily. “Okay, fine. No violence. Uh...” Change the topic, his brain was singsonging at him through gritted fibers. Change the topic... “What’s your name?” he asked the Ixi suddenly. Okay, Nabile, Tomos thought. I hope you’re ready for this, because if not... He shuddered. It would break my career. The question startled the red Lupe. “Why what?” he asked. The pink Ixi, Nabile, put a hoof to her mouth, her eyes wide. “Really?” she murmured, almost to herself. Nabile nodded, blushing ruby-red through her pink fur and smiling a bit despite herself. “Affirmative—that was me, all right,” she conceded. “Really?” There was no mistaking the look of hope in her eyes. Nabile nodded. “A-1.” She couldn’t wait! Tomos whipped the stolen Ummagine out of his patch-pocket. “You never saw this,” Tomos told her, taking a hearty bite out of the vegetable and winking at the Ixi. “Tomorrow, same time, same place. See you here. I promise.” Tomos walked off, tail swishing, outlined by the fading light of the stars. Deep in her heart, Nabile knew he was true to his word. If you are reading this, this is my first time in the Neopian Times!! Dedicated to Shany and Natalie, who inspired me.